Yesterday, Tom Walloch and I had a unique opportunity to bring to our classes. 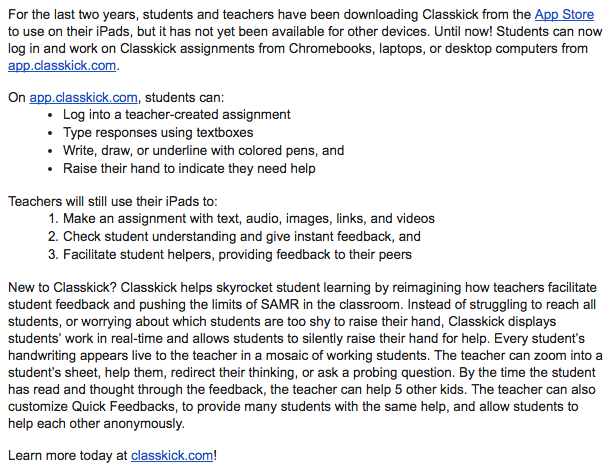 A representative from the app Classkick had reached out to me to preview their upcoming web-based version. Classkick For Web will be launching in a few weeks. 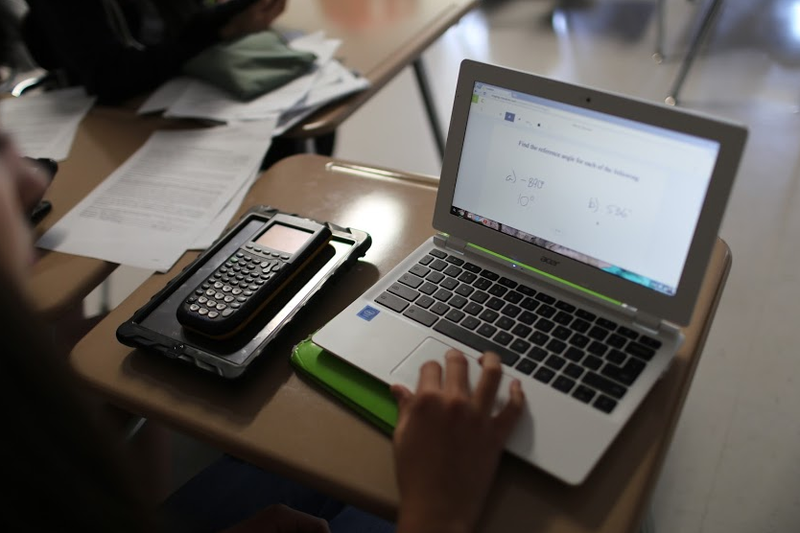 Now, schools with devices other than iPads (laptops, Chromebooks, etc.) will be able to use Classkick. The representative, Laura Litton, came to our classes to showcase the new version and take pictures of our students in action. Overall students enjoyed the experience, especially that their picture may be featured in some of Classkick's promotional materials. Some of the feedback from the students was that after using the iPad version, it wasn't as user-friendly to write with the mouse on the web-based version. 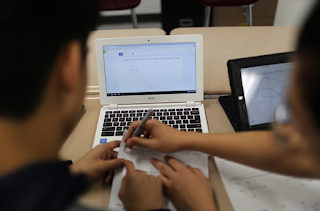 They also acknowledged that their opinion was based on using it in the math classroom and that there are other applications in other content areas that may find the web-based version more efficient. 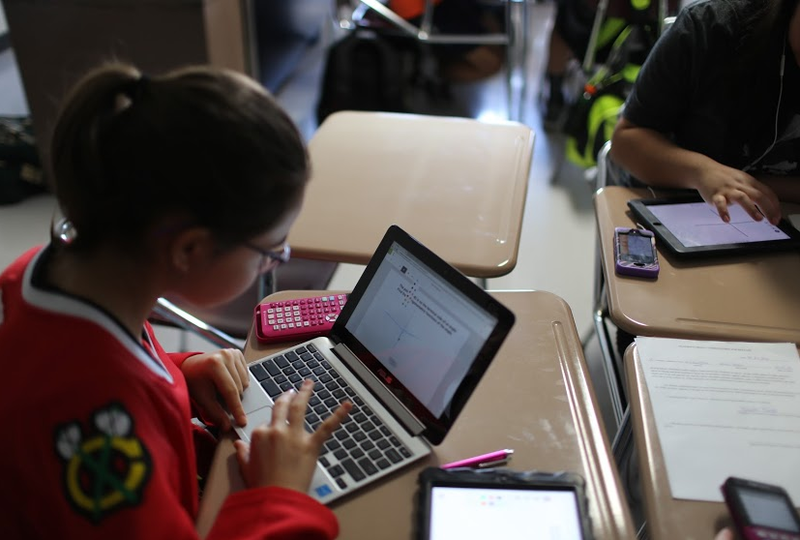 In talking to Laura, she mentioned the much greater network of teachers they could reach using a web-based version, due to the limited number of districts able to purchase iPads for their students. 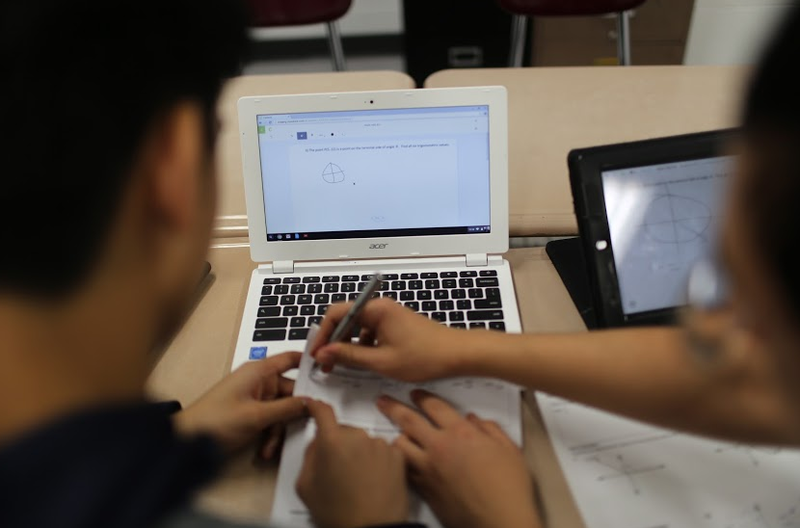 Some schools are investing in Chromebooks for the lower cost, while other schools are limited to computer labs. Investing in this web-based version allows for more teachers to benefit from this awesome method of formative assessment!